Normally Open, Normally Closed, Common spade lugs. Open limit common to – Challenger, AllStar, Allister, Linear and others. 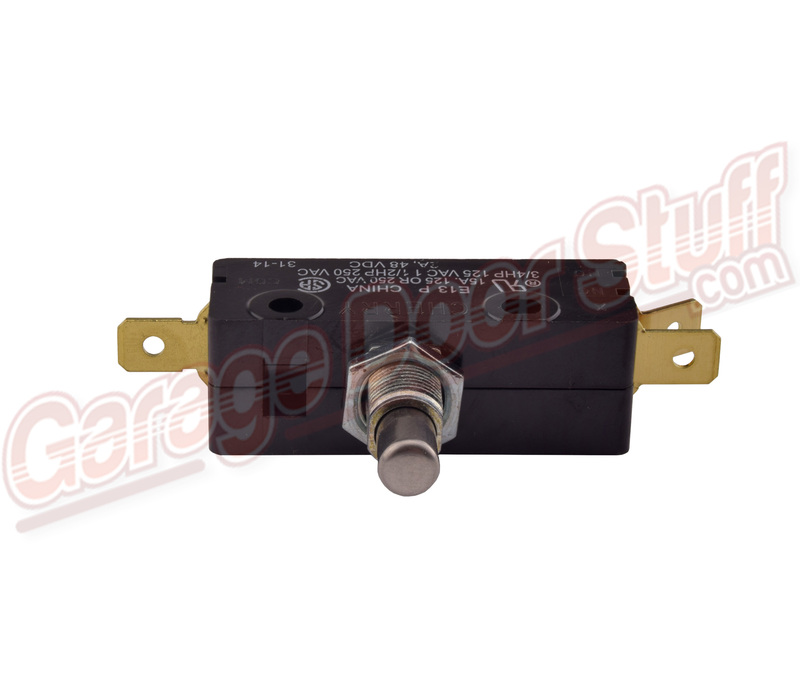 Marketed to the garage door industry but adaptable to many other situations needing a normally open limit switch. 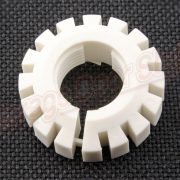 They are used for controlling machinery as part of a control system, as a safety interlocks, or to count objects passing a point. A limit switch is an electromechanical device that consists of an actuator mechanically linked to a set of contacts. 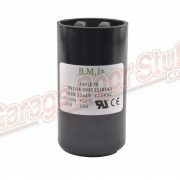 When an object comes into contact with the actuator, the device operates the contacts to make or break an electrical connection. Limit switches are used in a variety of applications and environments because of their ruggedness, ease of installation, and reliability of operation. They can determine the presence or absence, passing, positioning, and end of travel of an object. They were first used to define the limit of travel of an object; hence the name “Limit Switch”. A limit switch with a roller-lever operator; this is installed on a gate on a canal lock, and indicates the position of a gate to a control system. Standardized limit switches are industrial control components manufactured with a variety of operator types, including lever, roller plunger, and whisker type. 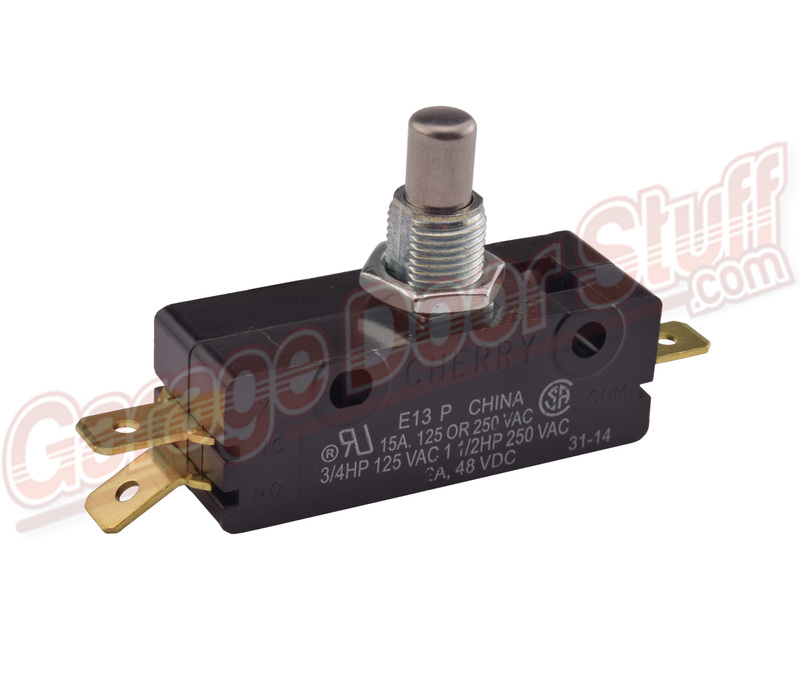 Limit switches may be directly mechanically operated by the motion of the operating lever. 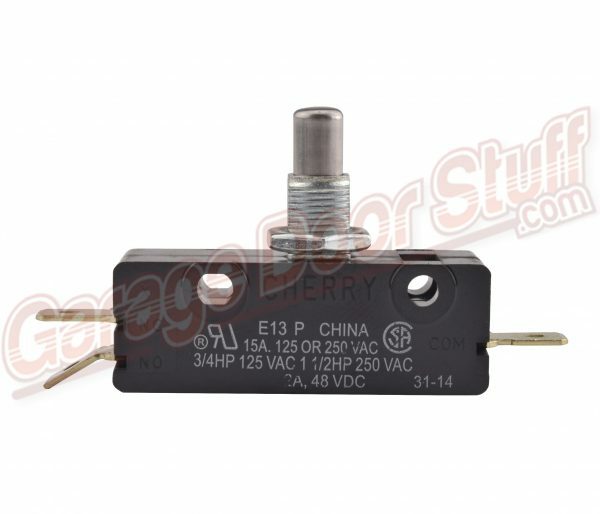 A reed switch may be used to indicate proximity of a magnet mounted on some moving part. Proximity switches operate by the disturbance of an electromagnetic field, by capacitance, or by sensing a magnetic field. 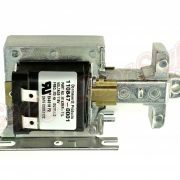 Rarely, a final operating device such as a lamp or solenoid valve will be directly controlled by the contacts of an industrial limit switch, but more typically the limit switch will be wired through a control relay, a motor contactor control circuit, or as an input to a programmable logic controller. Miniature snap-action switch may be used for example as components of such devices as photocopiers, computer printers, convertible tops or microwave ovens to ensure internal components are in the correct position for operation and to prevent operation when access doors are opened. 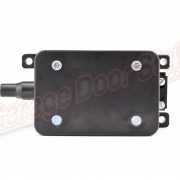 A set of adjustable limit switches are installed on a garage door opener to shut off the motor when the door has reached the fully raised or fully lowered position. A numerical control machine such as a lathe will have limit switches to identify maximum limits for machine parts or to provide a known reference point for incremental motions.